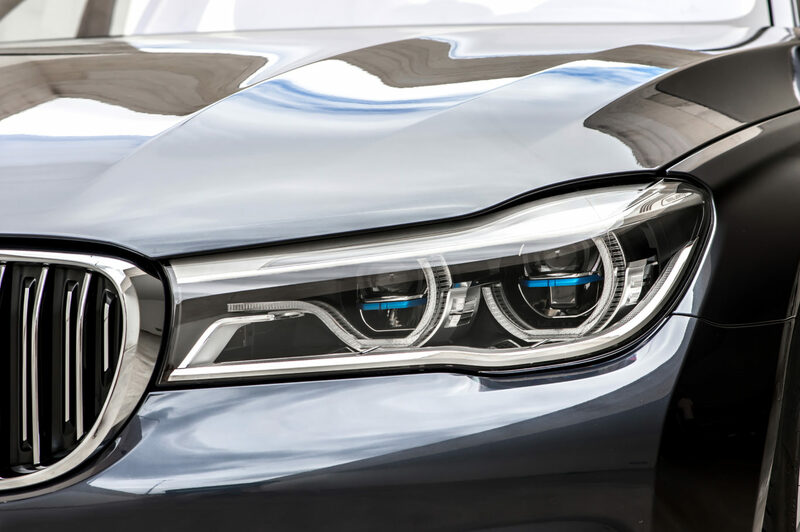 It might’ve always played second fiddle to the Mercedes-Benz S Class in the limo stakes, but if you’re after a luxury car with more sporting pretensions, the BMW 7 Series has you covered. With a controversial facelift arriving soon, the current-generation model is starting to look even more appealing as well. Can it still cut the mustard, or is it worth waiting for the new car and its enormous new grille? As this generation gets its first facelift in the next few months, BMW hasn’t really touched the 7 since its launch in 2015. In truth it hasn’t really needed to either – being the most expensive saloon in the range, it debuted much of the technology and safety gear that’s only just starting to trickle down to smaller BMWs. A plug-in hybrid version – badged the 740e – was the latest model to touch down a year after launch, followed by the fire-breathing V12 petrol M760li in 2017. All diesel-powered 7s get a turbocharged 3.0-litre straight-six in varying states of tune. Our 730d sits in the middle of the range, with a very reasonable 261bhp and more importantly, 620Nm of torque. It’s enough to allow even this long wheelbase 7 Series to make brisk and effortless progress, with the eight-speed automatic rarely even needing to drop down a cog or two. It’s not the quietest engine option – raising its voice to a burly six-cylinder growl when pushed hard – but thankfully its character suits the 7 Series well. Cars of this size and class exist to do one thing well: carry people over large distances in extreme comfort. 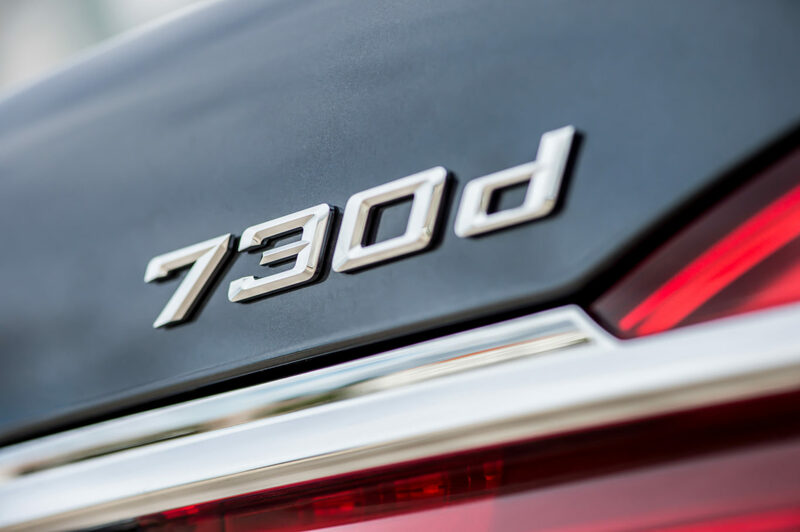 In that respect, the 7 Series is hard to fault – supportive seats, cosseting air suspension and oodles of cabin space see to that. BMW would like to imagine it has the edge for outright dynamics, too – particularly given the 7 Series’s weight-saving, carbon fibre-rich construction. To an extent that’s correct: the quick(ish) ratio steering rack, responsive gearbox and lithe chassis help it feel more alive and enjoyable to drive quickly than the equivalent S Class diesel. Whether that’s worth the slight detriment to the ride quality – particularly on our car’s run-flat tyre-equipped 20-inch alloys – comes down to personal preference. Time has been kind to this generation of 7 Series: four years after launch and it’s still a handsome-looking thing, where the model before it now looks bland and lumpen. What it lacks compared to most of its rivals – S Class, LS, XJ and so on – is visual drama. Even in long wheelbase form, it’s almost indistinguishable from its 5 Series sibling. That said, at least our car’s M Sport trim level brings an aggressive body kit, and the optional 20-inch alloys bear more than a striking resemblance to those on the previous generation M5 super-saloon. If it’s outright presence you’re looking for, hang on until the facelift model and its 40% larger front grille arrive later this year. 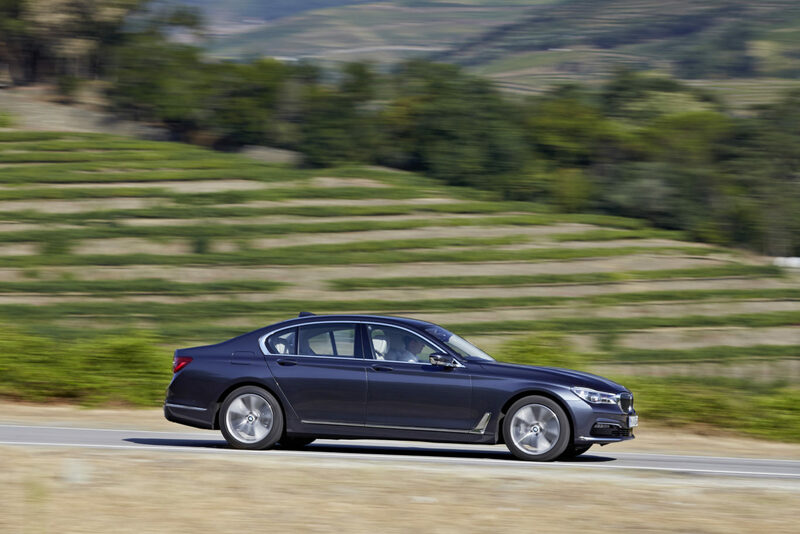 Like the outside, the 7 Series’s cabin bears more than a striking resemblance to models further down the range. Think 5 Series with added luxury and tech, basically. Where the S Class and A8 have simplified, futuristic, touch screen-heavy layouts, BMW has doubled down on a traditional dashboard. 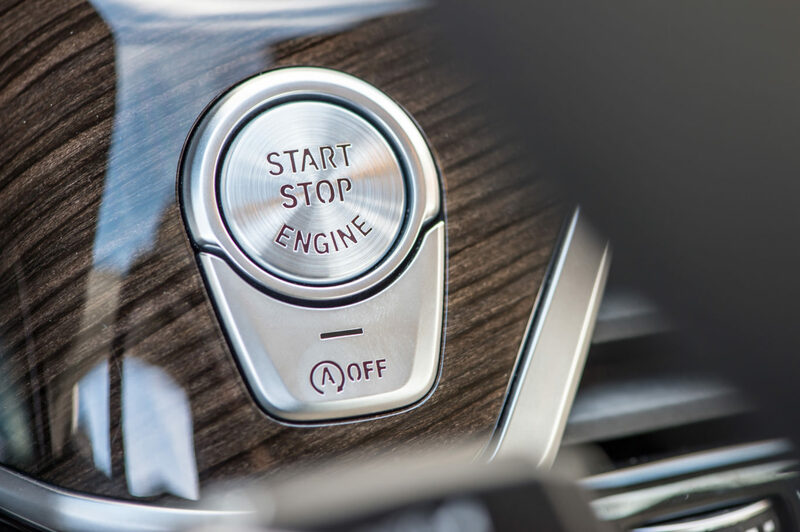 On paper its button-strewn fascia isn’t as aesthetically pleasing as anything Mercedes or Audi can come up with, but it’s far more logical and easy to use while behind the wheel. It’s rear passengers that get the real focus however, with copious leg room and materials that just ooze luxury. A particular favourite is the optional ‘Sky Lounge’ panoramic sunroof, etched with a special graphic that illuminates mesmerisingly as night falls. 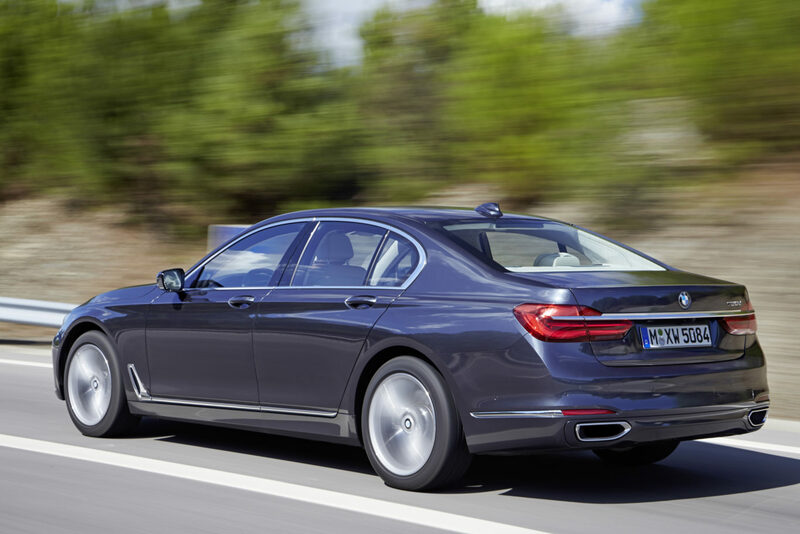 As with its rivals, the sky is the limit when it comes to the 7 Series’s tech. 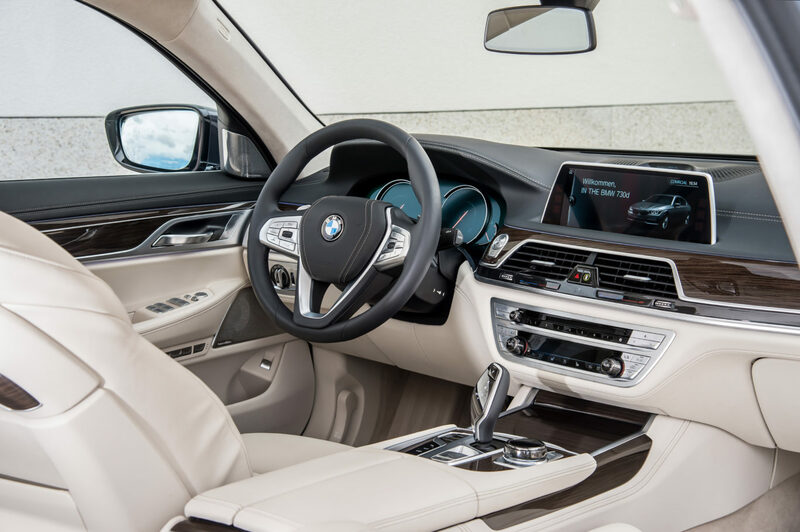 There’s a reasonable amount as standard: electrically-operated Nappa leather seats front and rear, four-zone climate control, a massage function for front seats, BMW’s ‘Vision’ touch-screen key and so on. It’s things like entertainment packages where your wallet will soon empty, though. Some aren’t strictly necessary – many will manage without the £4,995 Bowers & Wilkins speaker package for example – but £235 for a 3 year ‘subscription’ of Apple CarPlay seems a bit cheeky when other manufacturers throw it in for free. Let your budget run away with you and you’ll have one seriously well-specced car though: a plethora of semi-autonomous driving tech, remote control parking and even night vision are all available. It’s easy for luxury saloons to fail to compete with the ubiquitous S Class, but the 7 Series certainly puts up a good fight. It’s effortless to drive over long distances, can be specified with the very latest kit, and it isn’t even expensive to run. The fact it’s the most engaging to drive of all its rivals will – for some – be the cherry on the cake.